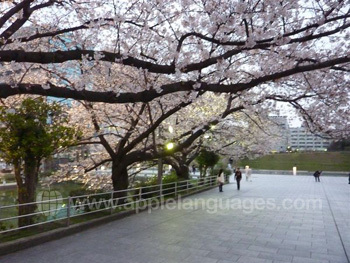 Learn Japanese in Fukuoka, a truly historic city, where tradition and modernity meet! Nestled between the mountains and the Sea of Genkai, on the northern shore of the island of Kyushu, Fukuoka is said to be one of the oldest cities in Japan. Fukuoka combines the exciting atmosphere of a modern city with the peace and serenity of beautiful natural spaces and historic monuments. The modern city of Fukuoka was born in 1889, when two cities, Fukuoka and Hakata merged. This created a city with two very distinct personalities. Hakata, with its port was said to be the city of the merchants, and remains to this day the commercial centre of Fukuoka, whilst old Fukuoka was the city of the samurai, and is now known for its great shopping, as well as its cleanliness, safety, excellent amenities and good quality of life. It is also famous for the friendliness of its people, and for its fantastic cuisine! 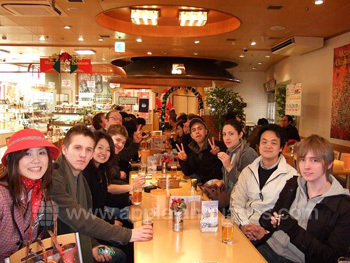 All this makes it the perfect place in which to study Japanese! 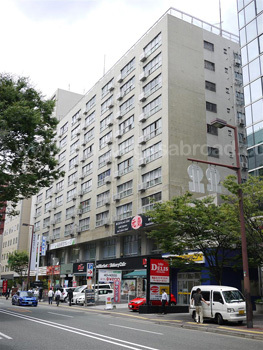 Our Japanese school in Fukuoka is located in the downtown area of Tenjin, in the very heart of Fukuoka city. 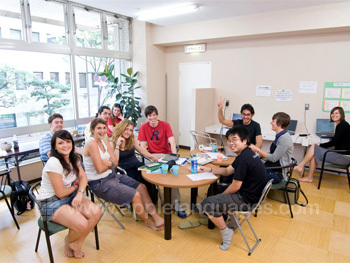 The school has recently been remodelled in order to provide students with the best possible atmosphere for learning Japanese. 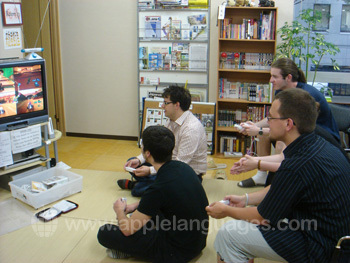 Facilities include 13 fully equipped classrooms, a Japanese ‘tea room’ for practising traditional Japanese arts, a large student lounge with PCs, video game consoles, TV and drinks. The school also offers free wireless Internet access for students wishing to bring their laptops with them, or PC’s with broadband Internet access for those who do not. There is also a library with textbooks, mangas and other reading material, as well as a TV, DVD player and DVD’s which students can rent for free. 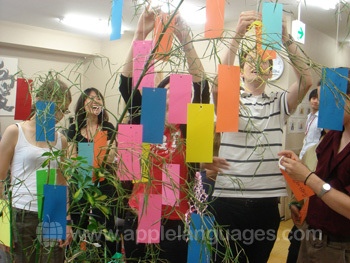 Our school in Fukuoka offers a wide range of Japanese language courses, with something for everyone! 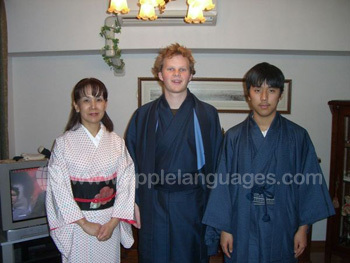 You can choose to learn Japanese on a ‘Standard’ group course which consists of 20 lessons per week, on an ‘Intensive conversation’ course, which consists of the ‘Standard’ course plus 5 conversation classes per week or on one of the special interest courses that our school offers. 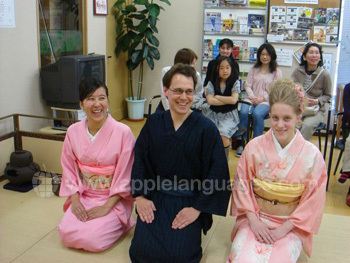 The first of these is the ‘Japanese and Traditional Culture’ course, which consists of 20 language lessons per week plus 3 culture classes per week. Examples of topics covered by these culture classes include kimono-wearing, pottery, tea ceremony, calligraphy, flower arrangement, Japanese cookery, martial arts, religion, customs and more! You may also like to consider the ‘Japanese through Pop Culture’ course, which consists of 20 language lessons plus 5 culture lessons per week. This course aims to teach students Japanese as it is spoken today through mediums such as films and television, music, manga and other modern literature. 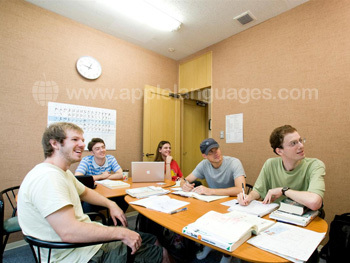 This course also includes some in and out-of-class activities, such as writing your own manga, visits to a graphic design school to see the process of writing manga, giving ‘pop culture questionnaires’ to local people, and going out of the classroom to hear Japanese as it is spoken in everyday life. 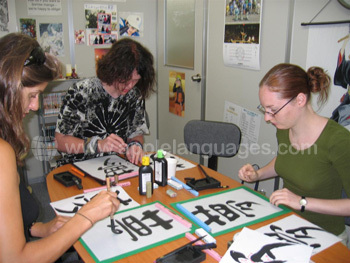 Our school in Fukuoka also offers a Japanese and Volunteering programme. Students on this programme must attend the ‘Standard’ course of 20 lessons per week for a duration of 4-12 weeks (depending on current level) before attending their volunteer work placement. Examples of Volunteer work placements include art galleries, organic farms, youth hostels, cafes, workshops and tour guiding. In terms of accommodation, students can choose from host family, shared apartment, student residence or private apartment accommodation. 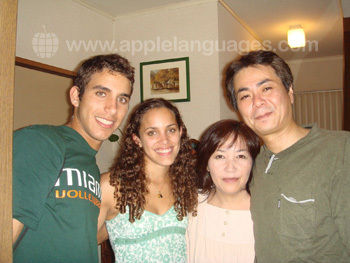 For students wishing to fully immerse themselves in the Japanese language and culture we would always recommend staying with a host family, who will welcome students into their home and speak Japanese with them! 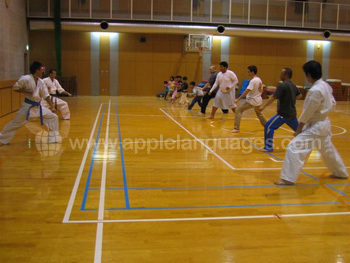 Our school in Fukuoka offers an extensive activities programme in order to teach students about Japanese culture. 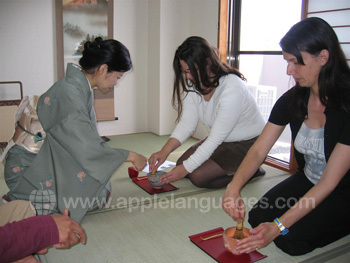 Activities include pottery, tea ceremony, martial arts, kimono-wearing, calligraphy and film and game nights. The school also organises regular excursions such as tours of the city, trips to local restaurants, local festivals, shows and local places of interest. We are also able to arrange airport transfers for students, although these are not included in the course prices.